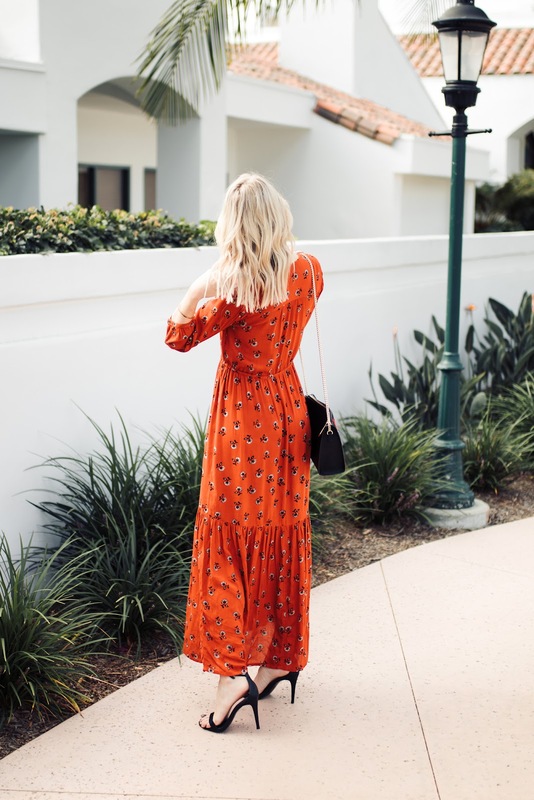 When I found this dress online I knew I had to have it for my California trip and it ended up being the perfect dress. 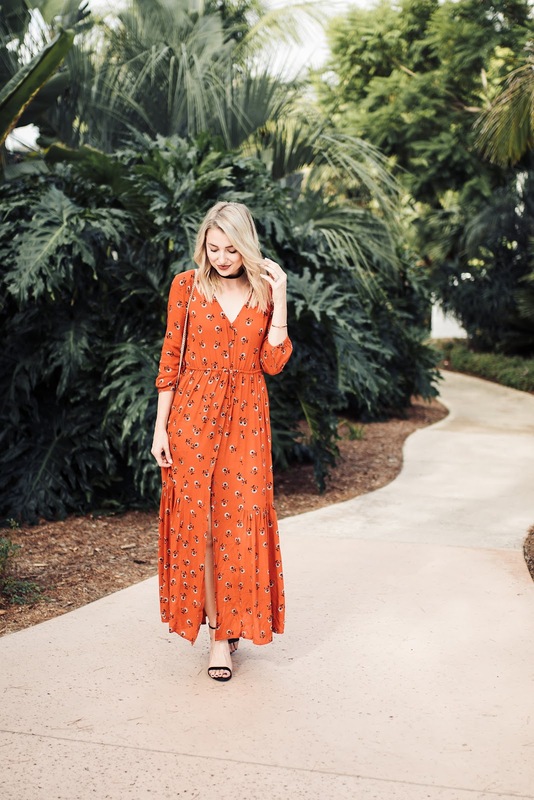 I think long-sleeve maxi dresses are one of the most flattering things you can wear, and this one is simply effortless. I dressed it up with strappy heels & statement earrings for dinner (totally forgot to wear the earrings in pics), but this dress also looks a-maz-ing as a more boho, casual look with booties and a wool/felt hat. 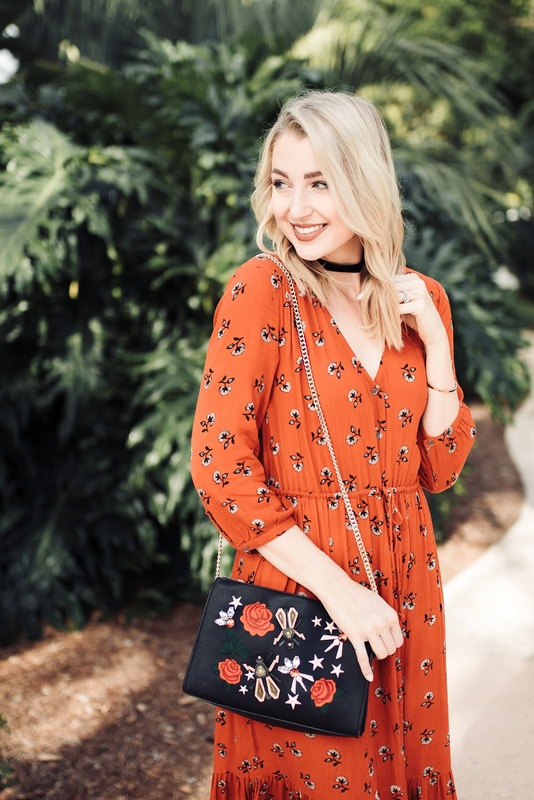 If you love this print as much as I do, it also comes in a really cute top (that also comes in black!!!). Big shoutout to my dad who very patiently and enthusiastically snapped these photos for me right before we headed to the airport! Didn't he do a killer job? ?